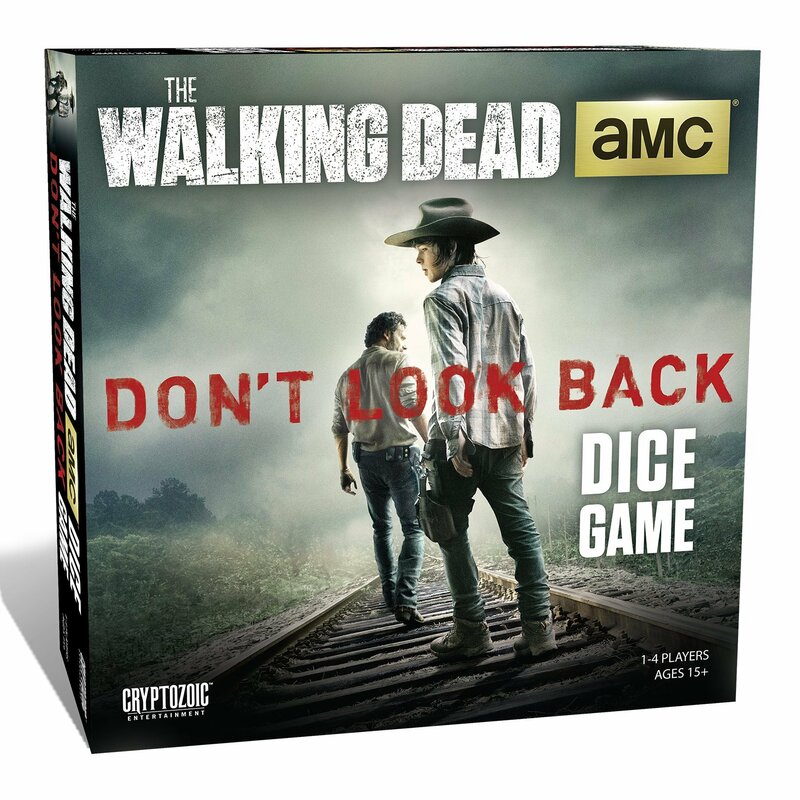 Put your survival skills will be put to the test in the all-new Walking Dead"Don't Look Back" Competitive Dice Game. With fast and fun rules, everyonewill be able to start rolling dice and killing Walkers in no time! Playerswill use their weapons, special items, wits, and luck to find the escape routefrom each location before the Walker hordes close in. Can you survive? Play asone of four survivors from the show: Rick, Daryl, Michonne, and Glenn. Eachone has a unique special ability that will help them survive and score themost Walker kills. The game also features four important locations fromacross the entire series. Kill walkers to prevent your location from beingoverrun. Players familiar with some classic dice-rolling games already knowhow to play this game! Score points by killing walkers or being the firstplayer to escape a location. In the end, the player with the most points winsthe game! Special weapons allow you to "press your luck" and risk yourcurrent status in the hopes of creating even greater situation. Each locationhas unique properties that will play out very differently from each other. Fora quick 15 minute game, players can choose to play only one location. For amore strategic game, players can play with 2, 3, or even all 4 locations forthe ultimate test. When survivors escape a location, they move on to the nextand a whole new set of challenges. Players may sometimes choose to worktogether towards common goals, but in the end. it's every survivor forhimself!